With an estimated 390,000 tonnes of asparagus this year, the harvest in Peru is slightly higher than the 377,500 tonnes last year. Exporters are focusing on the American market. Last year the export figure for the fresh asparagus was lower than in 2015. The export of frozen asparagus, on the other hand, shows a rising trend. This was revealed by the USDA in a report. The area in Peru has 28,000 hectares. 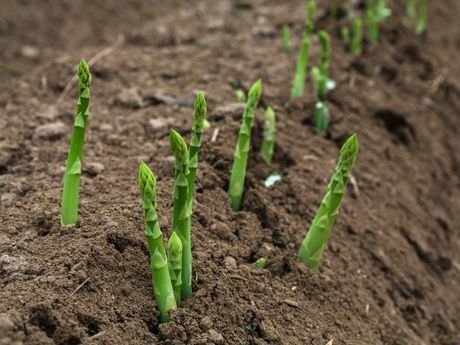 Thanks to the mild temperature and the scarce rainfall, the coastal areas of Peru have an ideal climate for asparagus cultivation. This means there can be a harvest all year round. The region of Ica, in the south, is worth 45% of the production. La Libertad makes up most of the rest, and is worth 43% of the production. Lima and the regions more towards the south represent the rest of the production. Although a harvest is possible all year round, 40% of the asparagus are harvested between September and December. On average a hectare yields 14 tonnes of asparagus, but the most productive growers can get 18 per hectare. In the past decade the average harvest rose quickly thanks to the use of better techniques, more efficient systems and better knowledge among growers. Thanks to government policy, agriculture has become a more attractive sector for investors. The asparagus cultivation is popular due to the profitability and stable demand in export markets. On average an investment costs 14,000 dollar per hectare. Despite the domestic production, the asparagus isn't a set part of the Peruvian diet. Most of the production by far is for export. Both white and green asparagus are grown in Peru. For the green, worth 80% of the production, the US is the main sales market. White asparagus are mostly processed and shipped to Europe as conserves. Last year the export of fresh asparagus was 123,710 tonnes, a decrease of 4% compared to 2015. The export value rose by a percent and was 421 million dollars. Besides this, processed asparagus were exported. The export of the frozen asparagus rose by 15% to 16,076 tonnes. The export peaks in the months of October, November and December. The fresh asparagus are mainly sold in North America, worth 70% of the export. The Netherlands and the United Kingdom are at a shared second place with 8%. Spain closes off the top three with 7%. The US is also the most important market for frozen asparagus, with a share of 55%. At 14%, Japan and Spain take the second place. Spain is the largest buyer of processed asparagus, worth 38%, followed by France 23% and the US (17%). The consumption in the US, by far the main sales market for Peru, has tripled in the last 5 years.